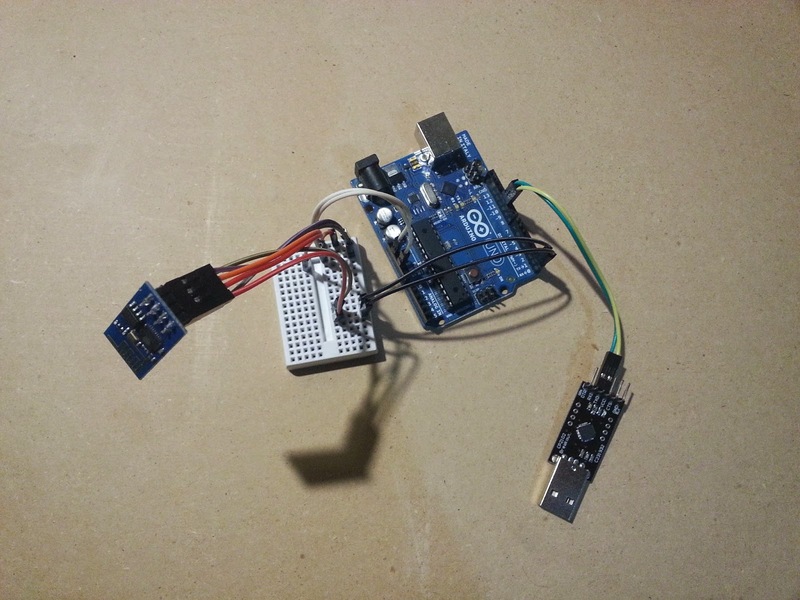 Before I start this blog post I'd like to profusely thank Joshua Newell ‏@ImJoshNya for providing the code, wiring basis and serial settings used in this experiment. The massive amount of support and assistance encountered in the maker community is a huge part of why I love it so much, all of you have been so supportive and receptive to my own inane ideas and provided a lot of input of your own. Recently the maker community was all abuzz about (alliteration eh?) a new WiFi chipset that was at a record low price ($5 or less/board) that included not only WiFi connection but also the ability to simultaneously connect and broadcast its own access point, in addition to having an onboard microprocessor that has GPIO (General Purpose Input Output) pins easily triggered on this standalone unit. 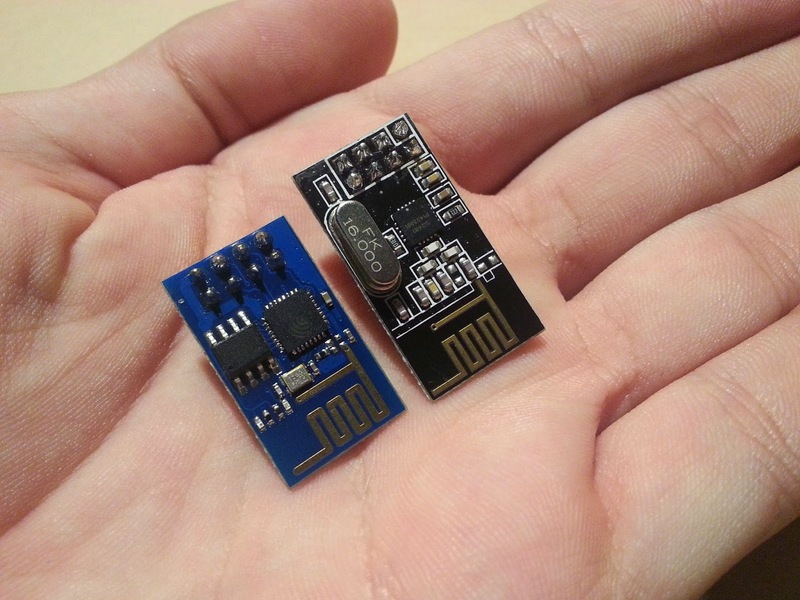 The whole unit is slightly smaller than the ubiquitous NRF24L01 with the same 2X4 header interface (with different pinouts though). 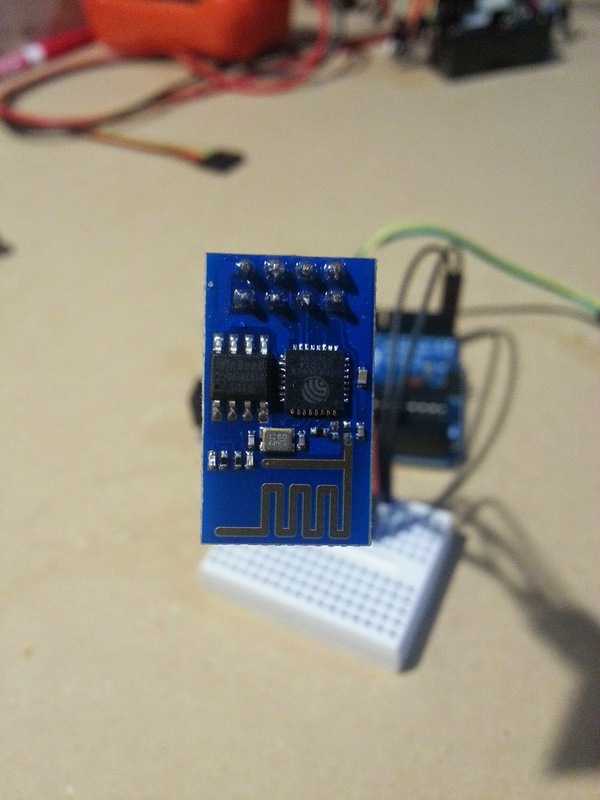 For $5 this will quite literally boost the IOT (Internet Of Things) maker movement to a whole new level like the widely used NRF24L01 did for basic RF communication and sensor meshes. Well as this is a VERY new module there exists (as of the time of writing) no Arduino libraries but I'd be willing to bet that within 2 months there will be a plethora of both libraries and variants of this amazing chipset. After reading the Hackaday post about this module, I went and bought one off of the quintessential EBay. Unlike most of these modules for sale which shipped from China and took a week or so, I got mine form a US seller so it arrived in 3 days and at a better price point than most Chinese sellers. In addition to the module, this seller provided me with extensive documentation in proper English that hadn't hit the internet yet. You can find said documentation Here. The module I received was "V2 GPIO" with an additional LED and 2 GPIO pins broken out. Details on the different versions after the break. Frr shipping to the US - but $14 shipping to the UK making this unfeasable for some... why do American companies do this when they must know China ships such small items for free. I have one of these by the look of it.. and though I can talk to it, I cannot get it to connect to the WIFI... going to have to learn how to re-flash it I guess... thanks for the info.